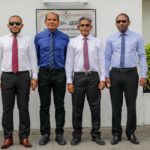 The lawmakers were arrested on Gadhdhoo ahead of President Yameen’s visit to the island. 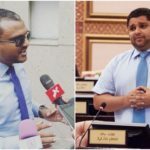 Opposition MPs Mohamed Ameeth and Ahmed Abdulla have been arrested while campaigning door-to-door on Gadhdhoo island in Gaaf Dhaal atoll, local media reported. A police spokesman told local media that they were arrested for attempting to obstruct a police operation. 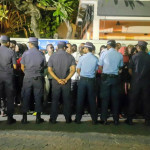 The arrests come as President Abdulla Yameen tours the southern atoll. He is due to visit Gadhdhoo later Tuesday to inaugurate a harbour, sewerage system and housing project on the island. 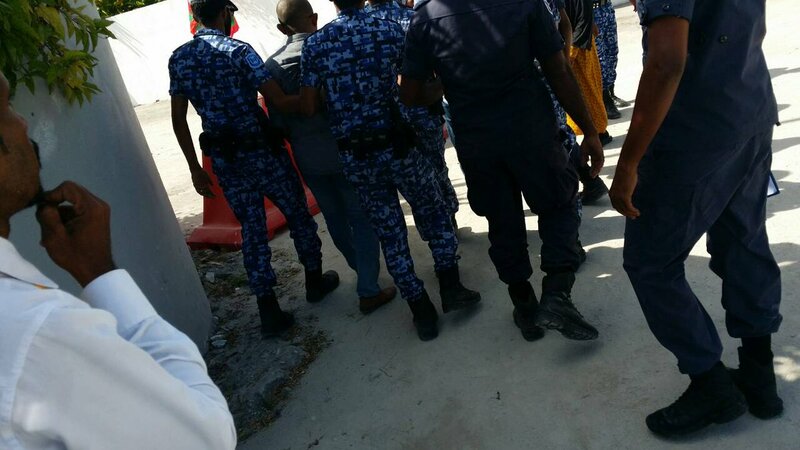 “Yameen needs to arrest everyone to get on an island,” said Ibrahim Ameer, a member of the main opposition Maldivian Democratic Party, tweeting a photo of MP Ameeth being led away by police officers. 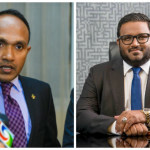 Ameeth, one of a dozen former ruling party lawmakers deemed to have lost their seats, was also arrested from an opposition protest in the capital last month. But he was only briefly detained and released without charge. Meanwhile, ahead of the president’s visit to Kolamaafushi in Gaaf Alif atoll on Wednesday, police have taken down MDP flags from the opposition’s office on the island. 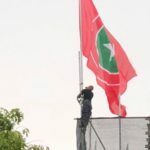 The island’s magistrate court issued a warrant Monday authorising police to confiscate flags, posters or banners from the area, citing police intelligence information about plans to use megaphones to disrupt functions with the president. 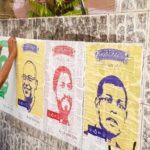 A painting of former president Mohamed Nasheed at the MDP office was also blotted out in the early hours of Tuesday. 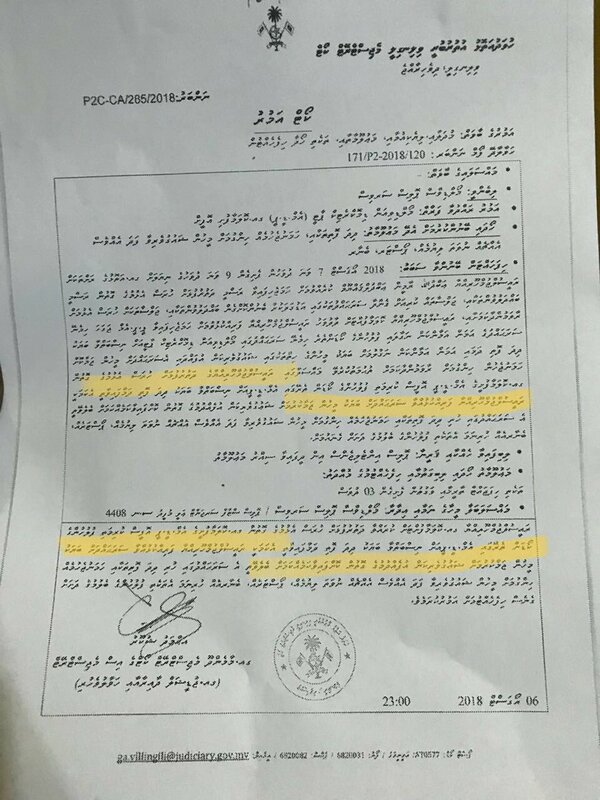 Dozens of police officers and armed soldiers descend on islands ahead of Yameen’s visit, with banners and loudspeakers confiscated with court warrants.